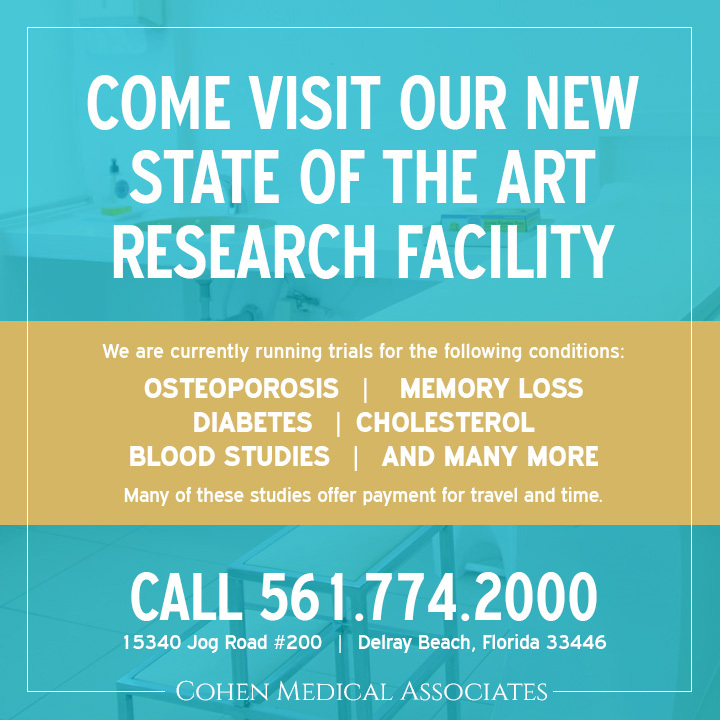 Cohen Medical Research Associates is dedicated to engaging our patients and our community with innovative medical treatments. Get thorough evaluations at no additional cost to you. Cohen Medical Associates strives to improve healthcare by bringing new medications to market. We conduct research studies in our office to ensure our patients receive the best treatments available. Currently, we are seeking volunteers to participates in our trials. If you are interested in learning more about the types of studies we are conducting, please complete the form below.